SPS now offers the new low-profile version of the Silhouette VS prosthetic foot that provides shock absorption and multiaxial ground compliance to ease progression onto otherwise unforgiving surfaces. Vertical shock absorption softens heel-strike impact, providing comfort and preserving residual-limb health. Optimized sole plate with tri-durometer urethane strips transfers load from lateral to medial plane with each step for more natural medial rollover. 3/8 - or ¾-in. heel heights available to broaden footwear choices from dress shoes to work boots. Rated to 365 lb., the Silhouette LP-VS is appropriate for low- to moderate-impact K3 ambulators. The Element Foot System™ was designed to support each phase of the gait cycle, resulting in unsurpassed smoothness, stability, and performance. Now Fillauer has added the DuraShock to increase vertical shock absorption and add axial rotation. The elastomers and carbon components work together to absorb, store, and return energy in vertical and horizontal planes. 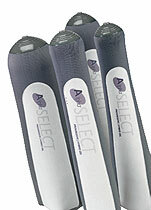 The result is a foot system that provides high-level function and requires only 6.5 in. of clearance. Rated for patients up to 275 lb. (125kg), the Element DS Foot System offers maintenance-free design and a three-year warranty. The new Alpha Select Liner provides controlled pistoning with unlimited flexion. Featuring a new design, material, and construction, Select is available at all SPS distribution centers. New accordion umbrella permits conformance to the wearer's own contours, rendering the attachment mechanism unnoticeable. 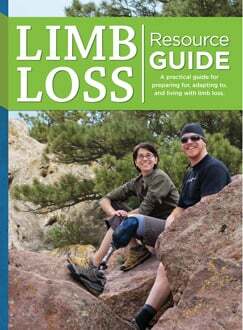 Select panel is an abrasion-resistant yet flexible fabric that allows the limb to easily flex without pulling or tightening at the knee. Pistoning is controlled through the one-way stretch fabric without a distal matrix. The California® Soft Spinal orthosis has been designed to alleviate pain, limit undesirable motion, and provide circumferential pressure to stabilize the spine. The basic system is modular, comprising rigid components inside a soft and comfortable interface, and the strapping arrangement provides easy-to-adjust compression. The orthosis can be effective for more superior spinal problems between T7 and L3, by adding either an anterior, posterior, or combined upper-thoracic component. All components are pre-drilled for retrofitting and interchangeability. In addition to spinal braces, Orthomerica offers a comprehensive array of prefabricated, semi-custom, and custom orthotic products. This new lamination anchor simplifies fitting patients who have hip-flexion contracture, making it easier for you to optimize alignment. Otto Bock's new 4R119 features an angled posterior arm. That angle means less bending that can also weaken a component and lead to failure. The durable, stainless-steel construction accommodates a 330-lb. weight limit. Offered exclusively from Otto Bock, you can trust the quality built into everything we do. Endolite Expands K2 Foot Offerings! Our popular Navigator and Senior feet for K2-level amputees are now available in light- and dark-tone foot shells. The Navigator offers a multiaxial flexible keel design, and the Senior offers a flexible keel design. Now through October 29, 2010, SPS is offering the new Summit 637™ LSO for 15% off. The Summit 637 delivers the same effective compression and motion limitations as the Summit 631, but with additional coverage. Rigid side panels provide additional lateral support while maximizing comfort. Conform back panel provides a custom silhouette feel while administering direct pain relief to the lower back. Ergonomic, comfortable fit accommodates diverse anatomies and diagnoses. PDAC recently reviewed many OPTEC products with the following decisions: VertaMax L-0627; Stealth PRO L-0631; Stealth Rehab L-0627; Stealth X L-0637; Stealth LSO LP L-0637; Stealth Xtreme L-0637; Stealth TLSO with DLK L-0462; and Stealth TLSO with ATE L-0464, along with many custom spinal products. The Stealth LSO, Oasis LSO, and Oasis LSO LP continue to be L-0637. The Ultraflex Universal Joint uses a tried-and-true clevis design for maximum M-L strength, yet is extremely lightweight and low profile. The Ultraflex Universal Joint is comparatively smaller, lighter, and stronger. It can be used on ankles, elbows, or wrists, as well as for both adult and pediatric applications.Recommended as a companion joint to Ultraflex ADR™. Molding dummy included. Dimensions: Length: 1 7/16 in., width: 7/16 in., height: 19/64 in., weight: 0.5 oz. SPS provides two new styles of the popular Answer 2 youth shoes. The adorable Mary Jane for girls has an extra-long Velcro strap that can be trimmed. The handsome lace-tie Oxford for boys has a larger throat to facilitate easier entry. Each is designed to provide extra support and girth at the ankle and added width at the toe. Symmetrical straight last and symmetrical cut lines allow easy sole modifications. Added depth (8mm) is deeper than conventional straight-last shoes. Both designs accommodate an AFO. Build a state-of-the-art custom KAFO within your own facility today! PEL Supply offers the new Combo Custom KAFO from Allard USA. It creates an innovative orthotic solution for the management of foot drop combined with genu-recurvatum by providing a removable knee-brace attachment for the popular ToeOFF® or Blue Rocker™. Uprights easily shaped and adjusted to optimum height for patient. Modular components accommodate variances in thigh and calf circumferences. Life is filled with compromises. 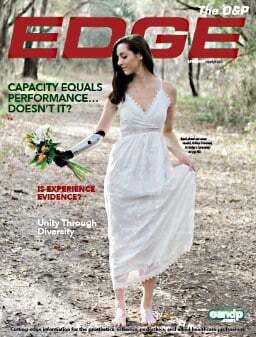 Choosing a prosthetic foot shouldn't be. 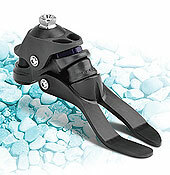 The Fusion™ Foot's design delivers exceptional functionality without compromise! The Fusion's high performance in vertical shock, smooth heel-to-toe transition, and inversion/eversion are due to its integrated, harmonious design. This design permits the foot's carbon-fiber shank, heel, and foot plate to work together through each step. 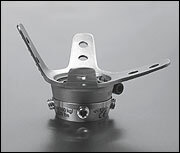 The height of the Fusion Foot may be trimmed to meet patients' needs. Fusion has a 36-month warranty and comes with a unisex, full-height, high-activity foot shell that has a nine-month warranty. 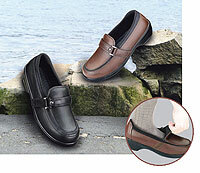 Trustep® wearers experience unsurpassed comfort and natural-feeling mobility. The Trustep is carefully and concisely crafted to offer nearly the same vertical motion, rotation, and balance as an anatomical foot, allowing for a natural gait and optimal performance on any terrain. Superior range of motion for a natural gait pattern. For nearly 15 years, OPTEC has been a leader in custom spinal orthotic manufacturing. OPTEC provides the products and services you need from your central fabricator. With around-the-clock technical support, high-quality products at a fair price, and availability to take orders anytime, OPTEC fits your needs. Further, you will get your custom brace when your patient needs it, just the way you want it. Visit our website to see PDAC L-Code determinations and letters online. 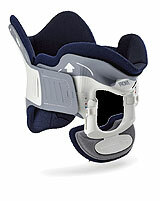 Plus, order a custom spinal brace now through August 31, 2010, to receive $50 OFF the regular price! Evolution Industries and SPS have expanded their distribution agreement to include all Evolution Industries products, including its full line of Evolution Silk custom liners and Evolution Origin liners. Purchases can be made through any of SPS' distribution centers in Georgia, Texas, California, and Pennsylvania. Evolution's custom Silk liners, renowned for their quality and fabrication excellence, can be purchased through SPS via a negative cast, positive cast, or AOP files from INSIGNIA or other systems. SPS also offers the full range of Evolution's standard pin and cushion configurations of the Origin liners. 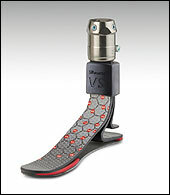 Hosmer introduces a smaller version of the Entegra Knee, the Entegra SV. The Entegra SV has hydraulic swing-phase control and is constructed with a durable, lightweight aluminum alloy. Its compact design is perfect for smaller patients and cases where clearance and weight are a concern. ISO tested and rated for 220 lb. (100kg). The new Miami J Advanced collar, with clinically proven superior immobilization and convenient adjustability, is available through SPS. Miami J Advanced combines soft overmolded edges and breathable Sorbatex™ padding to inhibit skin breakdown and the formation of dangerous pressure points. Its two distinctly shaped pads-one for the front and one for the back of the collar-make skin care simple and intuitive. The new adjustable, phenotype-driven sizing facilitates convenient application without sacrificing a precise fit. The ratchet mechanism provides quick and easy height adjustment while the "living" hinges adapt to the patient's anatomy.